Mary Ann Doidge was born 11 April 1837 at Brayshop, Stokeclimsland. Cornwall, England. She was the daughter of John Doidge, Jr. and Mary Nepean Doidge. Her father was a merchant and provided well for his family. They had hired help to do the heavy house­work, but the children were taught to help about the house. Mary learned to cook and sew under her mother’s guidance. She was given a fair education. Her parents attended their Church of England, and Mary was taught to read the Bible and recite the catechisms. As a child she loved to roam the green, rolling hills and gather nuts and wild berries. She also loved the wild flowers that grew in profusion over the country­side. May Day was always celebrated in England. The people would gather on the green, bringing their picnic and May baskets and joining in dancing and braiding the Maypole. They always crowned a May Queen with a wreath of flowers. The family was always taught to honor their beloved queen of England, who was Queen Victoria. Mary Ann told of seeing the Queen riding in her carriage drawn by six white horses. There was a law that no one in England should drive a carriage drawn by six white horses. But some, to show their daring, did so but were not caught. When Mary Ann was about twenty years old, she attended a funeral of a relative. As she stood by the grave in the cemetery, she heard beautiful singing. It came from another group at a graveside near by. She moved closer that she might hear the words they were singing. The words were very strange but gave her a great thrill, for they spoke of things she had never heard of. The song was, “Oh, My Father.” Now she lingered and listened to the sermon. Afterward, inquiring who these men were who taught such doctrine, she learned that they were Mormons. She knew that her parents would not permit her to have anything to do with them if they found out about it. She went secretly to their meetings, and, when she learned that they traveled without purse or scrip, she gave them money from her own allowance. Finally, after careful deliberation, she asked to be baptized into the Church of Jesus Christ of Latter-day Saints. She was aware that she would meet bitter opposition from her parents, but she knew that she had found the true church. Her mother pled with tearful eyes, and her father angrily threatened that he would throw her out of his house and home if she did not give up this fanatical idea. Mary Ann was sorrowful, but could not give up her convictions. She was baptized 4 August 1857. She left her home with only the clothes she was wearing. Mary Ann went to Devonport, Devonshire, a near town, and procured work to sustain herself. This must have broken her mother’s heart, for she died of a stroke in a few years. At Devonport, Mary Ann met and married a man who had just joined the Church. He was Joseph Barker. He had lived in Leeds, Yorkshire, England all his life, but for some reason unknown to us, had recently come to Devon. (Note by Marie Dean Speakman: Mother later added a note in her Book of Remembrance, that “The 1861 Census states that Joseph and Mary Ann Doidge Barker lived on Princess Street and that Joseph Barker was then in the Queens Royal Army, and that he was listed on his marriage license as a ‘Gunner in the Royal Artillery’.) His father had died in 1857, December 16th, at Leeds; also, two sisters died there, one on 29 Nov. 1854 and one 12 Feb. 1860. He had only one brother left, who was named John, and his mother. Mary Ann married Joseph Barker 11 June 1860 at Stonehouse, Devonshire, England. Joseph’s mother was named Sarah, formerly Sarah Pickersgill. His father was Henry Barker. Their first child was born 24 April 1861. She was named Sarah Jane (my mother). They had a great desire to join the Saints in America, but Joseph earned barely enough at his trade as a tailor to make a scant living. They could save little to help toward such a journey. Mary decided to wean her own baby to a bottle and she went out as a wet nurse to another mother’s child to get money to help for money for the trip. In May 1862, they left England for America in a sailing vessel. It took six weeks to make the trip. Sarah, their baby, became seriously ill on the journey over the seas. Her mother sorrowed that she perhaps had become ill on account of being weaned so young. Through God’s kindness, she lived and became happy and playful again. The baby tossed the only comb the family had over the side of the ship into the ocean. Upon reaching America, Mary wrote lovingly to her parents whom she missed so much. The answer to her letter was stunning to her for it was from her father. He told her that her mother had died of a stroke while she was on her way over the ocean. In unforgiving words he said, “Your mother died of a broken heart. It is you who caused her to die.” Mary was broken-hearted, not only at her mother’s death, but also at her father’s unforgiving spirit. The problem of finding a way to cross the plains to Utah next confronted them. Joseph found a way to go by driving a team of oxen with a load for a man, but there was not room for Mary Ann and the baby to go along. They decided he had better go and they would follow later. He could prepare a place for them to go when they reached the valley. Three weeks later, Mary Ann found an opportunity to send her belongings and her baby on a wagon, by agreeing to do the washing for the captain of the company and his family along the way. There was not room for her to ride, so she walked almost all the way across the plains to Salt Lake City. This was in 1862. This took three months for the journey. Her girlhood experience had not prepared her for such hardships, but her faith kept her spirits up so she bore it uncomplainingly, though the days seemed endless and the sun bore down hot upon her head. Her only pair of shoes became worn to shreds. By nighttime she was so weary that she slept soundly upon her solitary comforter upon the ground. It was of evenings, when the trying day was ended, when the company gathered around the campfire and held their evening song and prayer, that Mary’s faith and strength was renewed to carry on for each day. One day had been especially difficult and she felt discouraged and weary. That morning she washed the clothes of the captain’s family as well as baby’s and her own. She did so by washing by hand in the stream as they stopped near. She had learned to rub her hands together rapidly in scrubbing the clothes to clean them, as there was little time for the task. The clothes were carried in the wagon wet until they made the noon camp. Then she stretched a line between two wagons and hung the clothes to dry while the others prepared food to eat. The others ate before she was ready and Mary was very faint and weak. The captain said they must travel on as there was not sufficient water for the teams. Mary Ann had to gather in the wet clothes and plod on without eating. In the evening when they made camp, she hung her clothes once more to dry, then began to help prepare the meal. She was very faint and weak, and more than usually discouraged. She heard one of the brethren swearing at his horses. This hurt her, for she had been taught that swearing was a sin. She thought of her mother whom she would never see again in this life, and she began to wonder if she was really sure that she would see her in a future life. Discouragement clouded her mind as she wondered what the future held for her in a strange new country. The call came to prayer, and she started to cross the circle to kneel. As she did so, she fell unconscious to the ground. Those about her said they worked over her many minutes before she recovered and regained consciousness. The women said. “Oh, Mary Ann, you gave us such a fright.” Later, as she told of her experience, she said: “I have been in such a beautiful place, and was very happy. I met my dead relatives and friends, and a dear girl friend who had died a few years ago led me by the hand, and we visited with many who were studying as in a school. I was contented to remain there, but I was brought back here and I saw my baby and all of you working over me. I knew then I must come back and fulfill my mission here on earth. This incident renewed Mary Ann’s faith and she never again doubted that there is a future life, and she knew that progression continued after death. After reaching Utah and being reunited with her husband, they were taken into the home of some kind Saints, the Moody family. They remained there until they were called to go to help settle Parowan in Southern Utah. Here they struggled to gain a living, as there was not much opportunity for Joseph to do tailoring in the new settlement. He went out and did farm labor for others and herded sheep or any work he could obtain. Mary Ann did washing and received for pay a little flour, or a quart of molasses, or anything they could eat. Then Joseph began hauling freight to Pioche, Nevada, and Mary was left with the care of the children much of the time alone. About every two or three years they were blessed with a new baby daughter until they had six girls. Their names were Sarah, Mary, Emma, Catherine (Kate), Ella, and Dora (named Georgina Madora). All were blue eyed like their father and their mother. They were all born in Parowan. On 25 November 1872, Joseph and Mary Ann were sealed in the endowment house in Salt Lake City. While there, they bought their first cook stove and a Howe sewing machine. Previous to this, their cooking had been done over a fire in the fireplace, and all sewing was done by hand. Joseph was hauling freight to Pioche, Nevada, to the mines, felt that he needed to stay on there and asked Mary Ann to join him here. She asked counsel from her Bishop about this, and he advised against it because he thought it would not be a good place to take her six girls, so Mary Ann and Joseph became legally separated. It was very hard for Mary Ann to care for her children alone under the hardships of pioneer life. She started a school in her own home. She was one of the early teachers of Parowan. In the evenings she held a writing school for adults. She set her own copies after the night class was over to be ready to begin early the next day. In the day she taught children to read and write and do arithmetic sums. For remuneration, she accepted anything that would help sustain her family: wood, leather for shoes, wool for clothing. She and her daughters learned to spin and card the wool. In the fall when the wheat was harvested, she and the children went into the fields and gleaned wheat. They ground wheat in a hand mill and made their mush and bread. As soon as the girls could work at all she let them go to work for other families to help make their own living. Sarah (my mother) went to Washington, Iron County, to work in the factory there, weaving. She contracted chill and fever, and had to come home and was ill for sometime. She next went to work at Minersville, where the iron works were. Little Cassie went to work for the Bishop’s families. Bishop Dame had three wives, but no children. They loved Cassie very much and wanted to adopt her. Mary Ann could not consent to give her little daughter away, though she knew she would be well cared for and loved. Cassie stayed with Bishop Dame even after her mother and small children had moved away to Bluff, Utah. Mary Ann finally became weary of struggling to support her family alone, and married James H. Dunton, a man who already had a wife and family. He told her he would help support her children. Mr. Dunton was almost 70 years old when she married him. She was 41 years old then. They lived at Paragoonah, Utah. To them was born a son —Mary Ann’s first son. He was named John Harvey Dunton. James Dunton took Mary Ann and her three youngest children back to the Fort Montezuma. They left the four older girls to work for families of Parowan. They traveled in an old wagon and were with the second company that went down through the Hole in the Rock to pass on to the San Juan. This was a long narrow crevice in the steep rock wall. In many places it had to be widened with picks and hammers to be able to pass. The marks on the rocks, which were made as the wagons passed through, are still visible. The descent was so steep that the wheels of the wagons had to be blocked by chains and ropes. Men had to hold fast to the back of the wagons so they would not tip forward onto the horses. The Duntons had one balky horse, which refused to pull a steep grade. They had to fall behind the other travelers and camp alone one night. In the morning they unloaded part of their things to lighten the load and make several trips up the hill. That day, as they traveled alone, they were come upon by a band of Indians. They came whooping and yelling, so the children crawled down in the wagon and covered their heads with quilts. Mr. Dunton was a friend to the Indians, and they soon went on their way without any harm. By the next night, the company became worried about the Dunton family and sent men back to help them. They traveled on safely together. They crossed the Colorado River by driving the wagon and four-horse team on to a ferryboat. The children were frightened, but all passed safely. They spent the first winter living in a one-room log house at Montezuma Fort, on the San Juan River east of Bluff. The fort was built in a square, the houses all facing inside and touching each other. The children played inside the fort. They had little food and the children were sent to gather leaves from the grease- wood for greens. During the winter, the men made large frame waterwheels, to lift the water from the San Juan River to the irrigation ditches. But the spring floods came and washed the wheels and ditches away. Many became discouraged and left the Bluff settlement. Mr. Dunton held some stock in a Coop store and each year received a small dividend from it. The Dunton family decided to move to Colorado. Mr. Dunton found employment at a sawmill north of Durango for a time. Then the next fall they moved to Mancos on a farm. Mr. James H. Dunton was the first Presiding Elder of the Mancos Branch. Mary and some of the girls later were teachers in Sunday School and Mary was a Secretary and President of the Relief Society during those early years there. There was conflict in the family on account of Mary’s children to support. Mr. Dunton went back to Utah to Paragoonah to his other family and remained there. During Mary’s hardships, she did not complain, but was thankful for health and work to sustain herself and family. She corresponded with her two sisters in England and, though they always disapproved of her religion, they wrote friendly letters. One of her brothers, who became wealthy in Australia and later went back to England, offered to give her means to take her and family back to England and support them if she would give up her “foolish belief.” Mary would not sacrifice her precious testimony. Mary Ann’s four older daughters came from Parowan to Mancos to live near their mother. They obtained work and helped support the family there. Soon all were married but her only son, John Dunton, who remained with her and was a great comfort and support to her in her old age. He never married. They obtained a fine dairy herd and prospered through hard work and good management. She made cheese for many years and sold to the stores and private families. Mary Ann loved to read and each evening after the work was done, she read the scriptures or a good magazine to her son and her grandchildren, if they were at her home. They were there often, as when she was older she needed their assistance in her household duties. She always held their family prayers, doing the praying herself. She always paid a full tithing. She had many grandchildren who loved and honored her. All of her children lived to have families or old age. 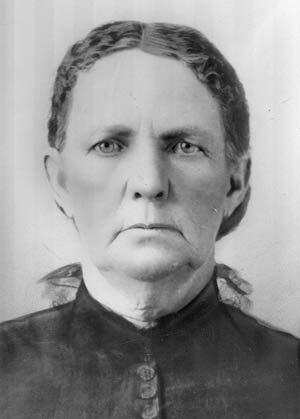 In 1909 she came to live with her oldest daughter at Redmesa, Colorado. She was fond of her son-in-law, Sarah’s husband, William McDonald Devenport, and had built several homes near theirs wherever they lived. She was ill for months from dropsy and died 28 June 1910, and was buried in the Redmesa [Colorado] Cemetery. Joseph Barker, Mary Ann’s first husband, had stayed in Eureka, Nevada, and asked his wife to come to him there as he felt that he could not make a living in Utah. The Bishop had counseled against it on account of it being in mining towns. She obeyed the Bishop’s counsel, but her husband and she became separated through it, and he set up a tailor shop in Eureka, Nevada. 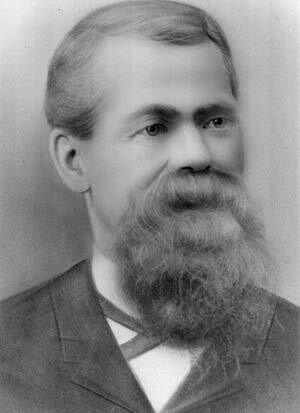 On October 29, 1896, he was burned to death in his tailor shop. It is thought that the fire started from coals he carried in from an election bonfire. The paper reported that he was a good and quiet man who was respected and that he went by the nickname of “Mormon Joe” in that gentile mining town. Mary Ann never spoke of him with bitterness and, when she died, said she wished to have him for her companion in her future life.